To track project progress in Clockify, use estimates and project status. You can estimate the length of a project, and then monitor progress and compare estimated vs tracked time to see how well you and your team perform. Estimates are useful because they let you see if you charge enough for projects. Plus, estimates can help you get better at estimating future projects. For example, when you compare estimated vs actually tracked time on a project, you get a better sense of how long a project like that takes, which helps you give better quotes to clients and set better budgets. To set one estimate for the whole project, go to a project and type your estimate in hours and leave “Manual estimation” selected. 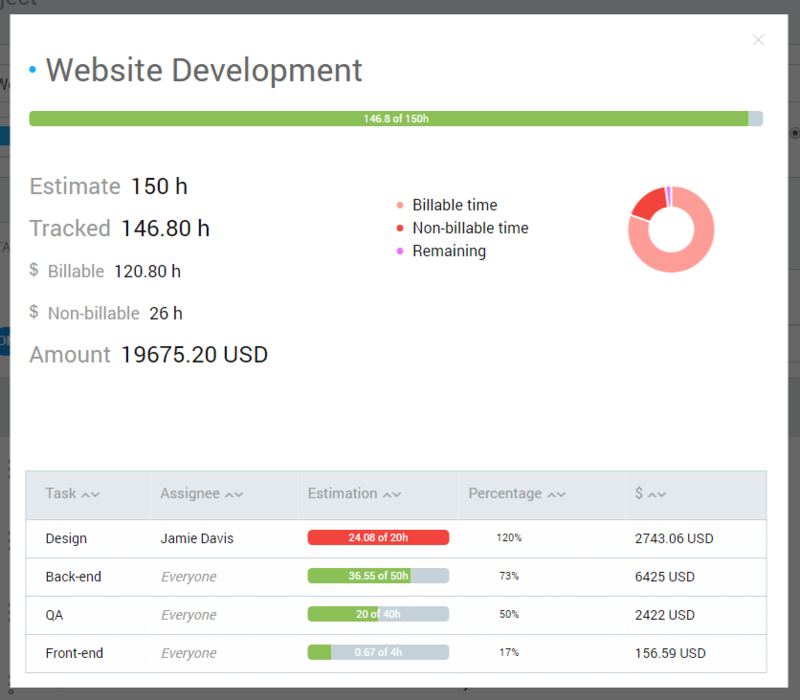 You can also estimate a project based on the sum value of how long each task takes: just select the “Task based” and type an estimate for each task in the project. 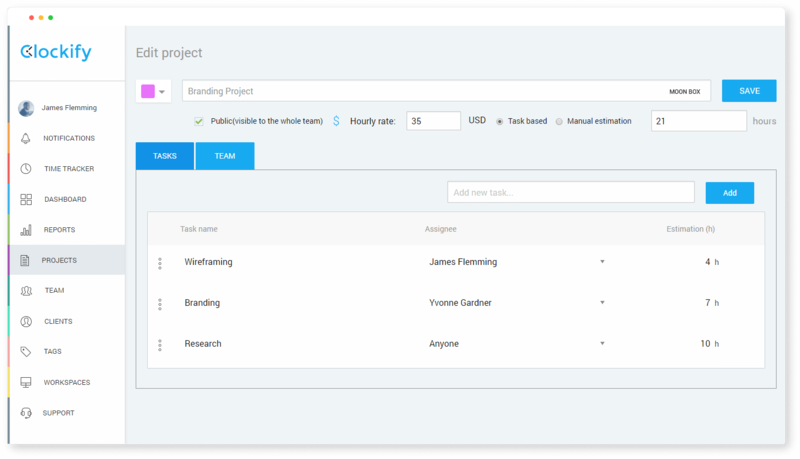 When you and your team start tracking time for projects and tasks, you’ll be able to track progress on each project on the Projects page. Each project will display a status next to it (eg. 15 (of 25h), which means you estimated 25h and your team tracked 15h). You can get more details about project status by clicking the bar icon. Admins can view status for all project and managers only for projects they manage. Regular users can’t see any project status.